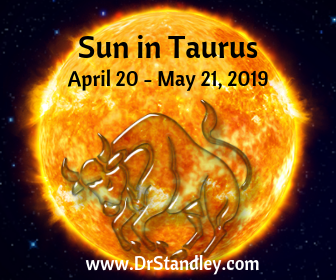 The Sun in Taurus moves into Sagittarius's 6th house on Saturday, April 20, 2019 at 4:55 AM EDT until May 21, 2019 at 3;59 AM EDT. 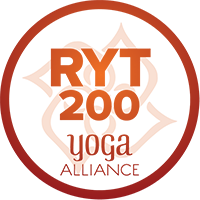 Read the full write-up on Sun in Taurus right here or by clicking the graphic to the left. The Sun in Taurus is moving through your natural ruling 6th house of daily life, health, hygiene, food, work ethic, employees, service, skills, servants, small animals, clothing and sickness. It is about the service you give to others and your daily habits. This house rules daily routine, the working environment, skills, pets, animals and service. This is the house of service, daily regimen and physical health. You will probably find yourself helping others more than usual. Routine daily activities take on paramount importance. You can go with flow of this energy by getting yourself back into a routine that feels Good for you or you can help others get to that place that you are by teaching them or treating them. Take the time to re-examine what you have been doing. Identify what is no longer working for you (health wise) and what is working for you. It's time to upgrade your health and wellness lifestyle and daily regimen. You would think with the Sun in this position the health would be blossoming and blooming wonderfully, but often times the Sun in this house is just a bit too delicate causing the individual to be a bit too sensitive. This could morph into a sensitivity toward food. While the opposite 12th house would be sensitivity toward drink (alcohol), this 6th house could have a sensitivity to food, such as lactose intolerance, gluten intolerance, soy intolence, etc. It's just a delicate system with the Sun barreling down its rays on this gastro-intestinal system. 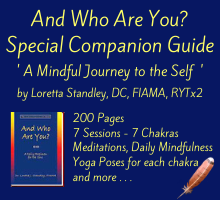 The great thing is you intuitively know how to treat yourself, which is something you could teach others. If you have a gluten, soy or lactose intolerance, then you could start a blog teaching others what to do and what not to do. This 6th house has everything to do with your physical health (not your mental health as that would be a 12th house situation). You may become more attracted to careers in the health field or in some sort of 'service' work. This 6th house rule work ethic, co-workers and employees, while the 10th house rules the career or profession. So this 6th house tells 'how you work' and whether or not you are a dependable employee. The Sun in this 6th house indicates being a Good employee, which may result in a raise or some sort of distinction above all other employees, like employee of the month accompanied by a front row parking space that says 'employee of the month'. You will take higher pride in your work while the Sun is in this position. When it comes to employees and co-workers, it is likely that you will nag, critcize and complain about their work ethic while comparing them to yourself. This could cause you to job hop from one position to another because someone else isn't doing their job and this gripes you to no end, which just can't seem to tolerate, so you leave. If you are an employee, meaning if you are an entrepreneur and employee others, then it is likely that you will be coming down too hard on your employees and being overly-critical. This makes for a demanding employer who just can't seem to be happy with any employee's performance. Watch it because this result in low company moral with nothing but complaints about 'the boss' meaning you. At the same time, your employoees are demanding to be appreciated with some sort of company recognition or token of gratitude. Everyone wants to be appreciated at work with the Sun in this 6th house. While you may own the company, the employees recognize they are the ones who built it. Since this is the 6th house of health and hygiene you can get your groove back. You will probably look and feel better than you have in quite some time. Step into alignment with routine activities that will keep you on track. Organizing your day will help you get to where you desire to be in the long run. Make certain you read the larger write-up on Sun in Taurus right here. Scroll down to read your Mercury Opportunity. The flow for your Solar Chart (your Sun Sign) is -- Sagittarius would be on the 1st house and then you would follow the signs in order for each house. Capricorn 2nd house, Aquarius 3rd house, Pisces 4th house, Aries 5th house, Taurus 6th house, Gemini 7th house, Cancer 8th house, Leo 9th house, Virgo 10th house, Libra 11th house and Scorpio 12th house. Read more about How Horoscopes Are Written Here! For your personal natal chart that has your exact birth date, time and location, then the flow from the 1st house would according to whatever Sun Sign is your Rising Sign. Read more about what the 12 houses rule here! 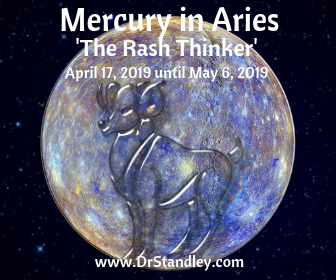 Mercury in Aries aka 'The Rash thinker' moves into Sagittarius's 5th house on Wednesday, April 17, 2019 until Monday, May 6, 2019. Mercury stands for the intellect, common sense, cold reason, commerce and business. Its qualities are fluidity and versatility. Its position and aspects tell us about our communication and learning habits and our modes of thinking. The house that Mercury occupies in your Natal Chart or Solar Return is where these characteristics will manifest the most. Mercury in Aries is trine (easy and effortless energy) your 5th house of pleasurable activities, parties, romance, dating, Love affairs, playtime/acting, sensual emotions, Lovers, parenthood and sexuality, creativity, artistic pursuits, hobbies, recreation, procreation, babies, pregnancy, children. It also includes leisure, games, sports, self-fulfillment, joy and bliss. Mercury also rules the mind and thinking. Since this is the house of fun and children, your mind is more focused on having a Good time. It is also the house of creativity; therefore, your mind is expressing itself in a more amusing and child-like fashion. To others you may appear to be the jokester. The interesting thing while you are out having a Good time, you will learn more about yourself and all the fun will prove to be educational, only the education will be about you. How fun is that? It is just like whistling while you work. This position is associated with stock market analysts and investors. You may have a need to express yourself through something creative or artistic or mentally stimulating hobbies. Mercury in the fifth house produces an intellectual association with this house of creativity and the affairs of children. This position usually shows good writing and speaking ability, and it likewise shows artistic and creative interests. You may express yourself in a dramatic and forceful way, enabling you to become an excellent teacher or actor. Games of mental competition attract your interest and mental stimulation is essential to your happiness. You may have an analytic, critical outlook on romance, and on life. Read the full write-up on Mercury in Aries here! Scroll down to read your Venus Opportunity. 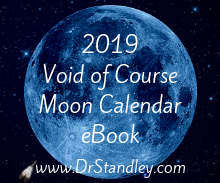 Venus in Aries enters Sagittarius's 5th house on Saturday, April 20, 2019 at 12:11 PM EDT until Wednesday, May 15, 2019 at 5:46 AM EDT. Make certain you read this full write-up on Venus in Aries or just click the graphic to the left. Read about Venus in Aries first for better understanding of what you read below or at the very least, after you read the information below. 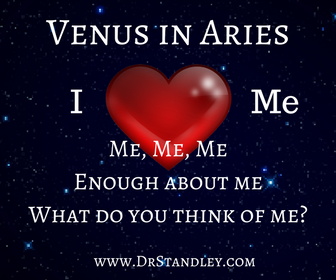 Venus in Aries moves into your 5th house of children, creativity, fun, games and sport, intimacy, dating, playtime/acting, sensual emotions, pleasurable affairs, lovers, parenthood and sexuality. 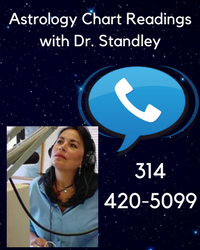 If you are coupled-up, this is a great time to rekindle the romance in your relationship. Just because you are coupled-up does not mean you have to stop dating. Invigorate your relationship by paying more attention to what brought you together in the first place. Seek fun and playful activities that you both enjoy. Deliberately bring humor and livelihood back into your Life. After all, no one is responsible for your happiness and livelihood except you. If you are single, this is a perfect time to attract a new romance. If you open yourself up to dating, you may have more dates than you had in the recent past, which may turn into a full-blown romance. Get out there and express your creative side. Whether it is collecting art, taking pictures or watching a play . . . let your spirit rip! Make certain you read this full write-up on Venus in Aries. Scroll down to read your Mars Opportunity. 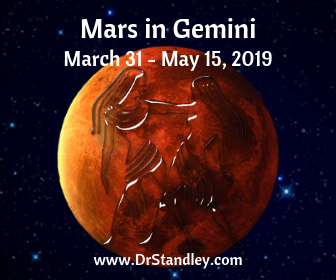 Mars in Gemini moves into Sagittarius's 7th house on Sunday, March 31, 2019 at 2:12 AM EDT until Wednesday, May 15, 2019 at 5:46 AM EDT. Check out the Mars Moving Through the Signs Calendar. Dates are listed from 1920 up until 2024. Make certain you read this full write-up on Mars or click on the graphic of Mars in Gemini. Mars is all about AGGRESSION and DRIVE! 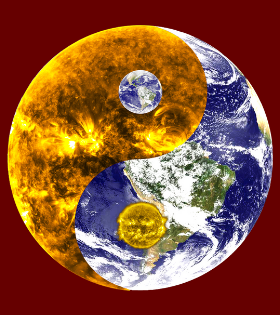 Mars in Gemini in is opposing your 7th house of contractual relationships. This house also rules unions, lawsuits, contracts, partnerships, marriages, agreements, and open enemies with the public. This can be partnerships in business, marriage or a committed relationship that is a live-in arrangement. It also includes long-term associations, the animus (underlying passion or force), the relationship between soul and personality. If there were ever a time to work closely in a partnership, this is the time. In other words, working in conjunction with an existing partner can turn into something very wonderful. Instead of using this energy to aggressively confront unresolved issues with a particular relationship, you can use this aggressive energy to make something wonderful happen in your Life. Mars does not have to turn aggressively negative. If you feel the negative effects of Mars causing you to act and react negatively in your personal relationships, then fight back and turn the energy into something good. This Mars placement for those coupled-up will find Mars is just about forcing you to work closely with your partner. It's almost as if you are thrown together in order to work through something or on something in order for it to bring you closer together. Seriously, is this what it takes? Really? This may not feel all that great, but when you come out the other end after this transit is over, you will be glad it did. This is where the couple can really see what they are made of, and more. For the unhappy unions, this could pull the pin on that grenade and end up blowing everything to smithereens. 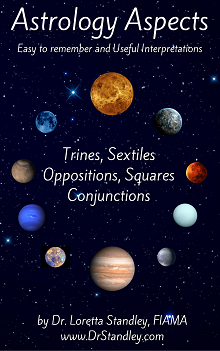 Mars is 'accidentally' in the 'detriment' position when placed in the 7th house. This means it isn't in the strongest position, in fact, it is in the opposite of the strongest position. That is because Mars naturally rules the 1st house and this 7th house is the opposite house, and that my dear little mentator is why Mars is 'accidentally' in its 'detriment' position. It's in the exact opposite place of where it feels comfortable. RATS! Unhappy couples may feel as if they need to walk on eggshells because this is NOT going to be easy. There will also be competitive energy brewing with the unhappy couples. "I did this for you and you did that to me!" type of language will occur where comparisons and competition is made. What kind of relationship is that? These unhappy couples are going to yell, curse and threaten each other with divorce and separation. Whether that is the case or not depends on your own personal natal chart. Those who are single should thank their lucky stars that they aren't in a relationship right now and just remain that way until AFTER Mars moves into the next sign. Don't worry, it's not that far away. Just be grateful that you are aware of this energy and you won't be so discouraged about being single. For the happy unions, this is awesome because you will get to see how well you work together and it will bring you closer together. You could probably put a tiny model airplane together and have a great time doing it. This placement is all about cooperation and working together. You will likely get much accomplished in whatever you both choose to do together. There will likely be a meeting of the minds where finances are concerned. This is because you both want to get back on track and be one again. Finances are an intimate thing, which will bring you closer together. In fact, working together, the finances of this union could get solved once and for all. In April 2019 we will experience only one (1) major aspect with Mars (on Saturday, April 27, 2019 - Mars squares Neptune), so make certain you keep an eye Mars in the Monthly Astro Memes for this upcoming date.